All concert tickets for the Minehead Music Festival can be purchased at the Regal Theatre Minehead from Friday 8th June. 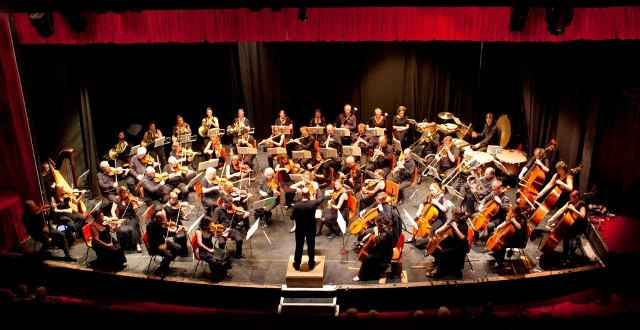 The orchestra which plays a pivotal role in each year to the Minehead Music Festival was originally founded by Tim Reynish in 1963. It has been running in its present form for thirty years under our Artistic Director, Richard Dickins. A core of the performers have been coming for all of that time. Others have joined more recently and every season sees some joining for the first time. 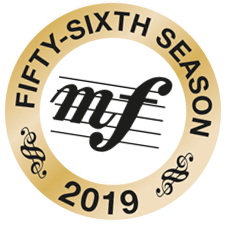 The players are drawn from all over the country but most come from the London area where many of them perform with well established orchestras and chamber groups: past leaders have included Maya Magub from the London Mozart Players and Gonzalo Acosta, associate leader at English National Opera. One or two performers do live locally but the reason we look further afield is to find instrumentalists who will maintain and, where possible, improve on the well established high standards our audiences have come to expect. The fixing of players is done by the orchestra’s section leaders and this ensures high quality and helps the players gel as soon as they arrive and play well together. With Richard Dickins’ help we are able to enjoy performances by well established international soloists as well as up and coming stars.